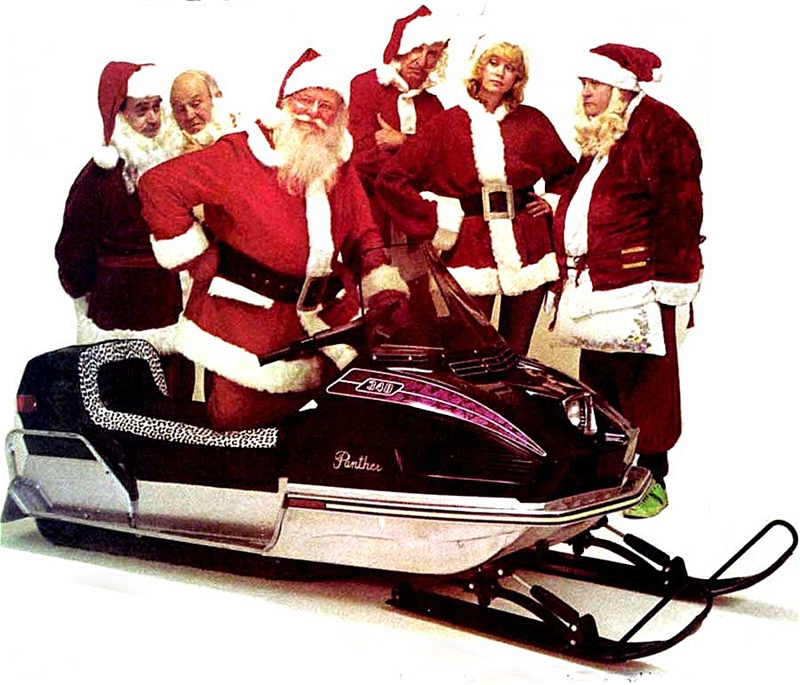 It’s been 48 hours since we learned the news that Textron has agreed to buy Arctic Cat for $247 million. I've had dozens of conversations with people from across the Arctic Cat spectrum. Amidst the uncertainty that comes with an announcement like this, there runs a deep and powerful optimism. Click to read my humble thoughts and opinions. Arctic Cat took the wraps off a pair of 2018 M 8000 Sno Pro models today, each featuring the new C-TEC2 800 2-stroke engine and new extra-narrow Next-Gen bodywork. Available in 153- or 162-in. track lengths, the two Early Release models will be at dealerships next week. For now, here's the full-skinny on these extra-skinny models. 2018 is coming early for Arctic Cat fans, in the form of the all-new early-release ZR 8000 Sno Pro 129/137 featuring the all-new Arctic Cat C-TEC2 800 engine with DSI. Along with the early release M 8000 Sno Pro, the new machines will be at Arctic Cat dealerships beginning Feb. 1, 2017. See, demo ride and buy it then! For now, click to ready all the details of the new ZR 8000 early release. The wait is over! 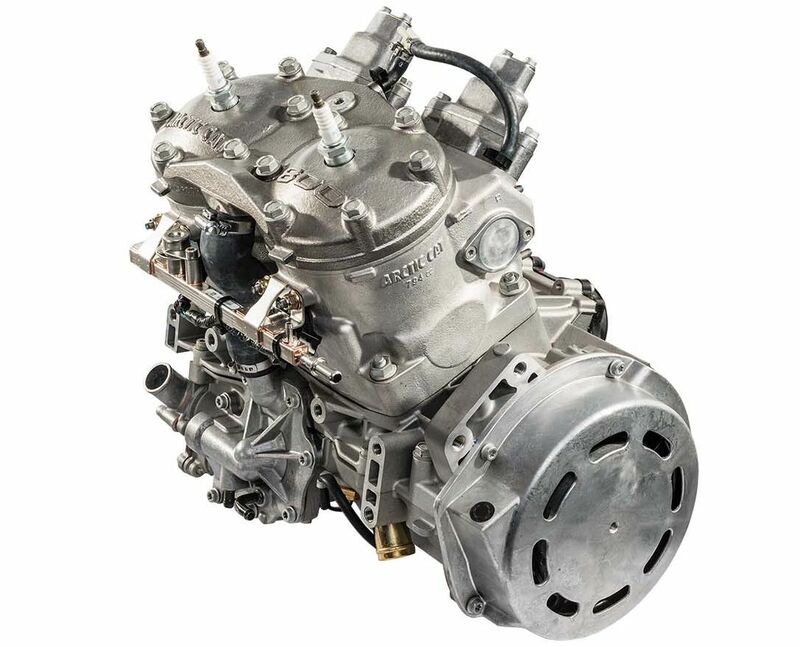 Arctic Cat has an all-new 8000-series C-TEC2 800 2-stroke engine for 2018. Arctic Cat is saying it's for the 160-hp class, and that it has more power than the Suzuki engine that it's replacing. I've ridden this new engine several times over the past couple of seasons and I'm pumped to report that it's excellent. Three words to describe the new engine: Powerful, crisp & refined. Grab a big ol' handful of interweb throttle to read all of the details. 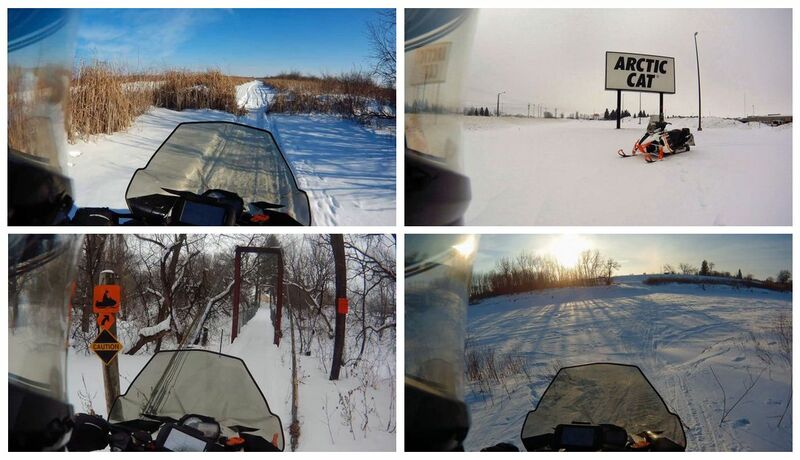 Periodically I hear from Ross Spoonland, the uber Arctic Cat snowmobiler who consistently racks up more miles than anyone I know, and whose knack for documenting his travels is second to none. Last Thursday Ross had another one of his big adventures, logging a whopping 334 miles on a big loop that took him from his home in Park River, ND, to Thief River Falls and back home. Click to see some really cool pix from his adventure, as well as hearing his set-up for such rides. 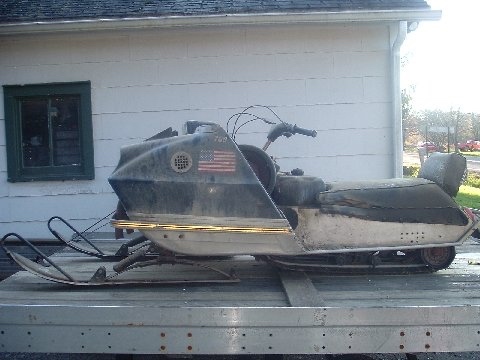 Here's a great story about a legendary Arctic Cat from Pennsylvania that was located and saved from the scrap yard, written by Arctic Cat aficionado Glen Mallory. 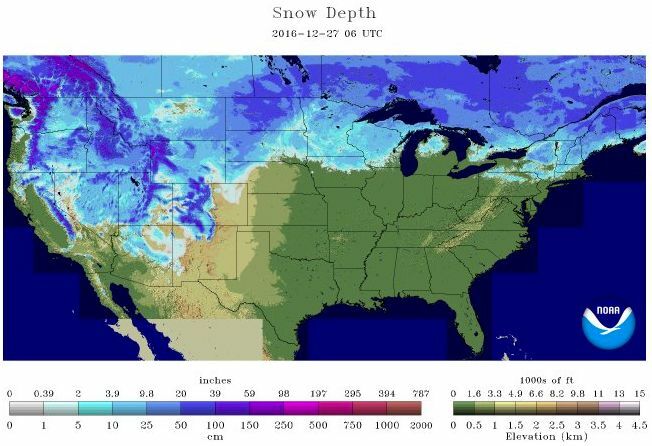 There's great snow over much of North America. For more detailed analysis of your area, hit the NOHRSC website. At the Wednesday funeral service for his son Hunter, Steve Houle shared with a packed church his family's thoughts and story about Hunter's life. Click to read parents’ words about their son. Click to read about the Hunter Houle that I see. 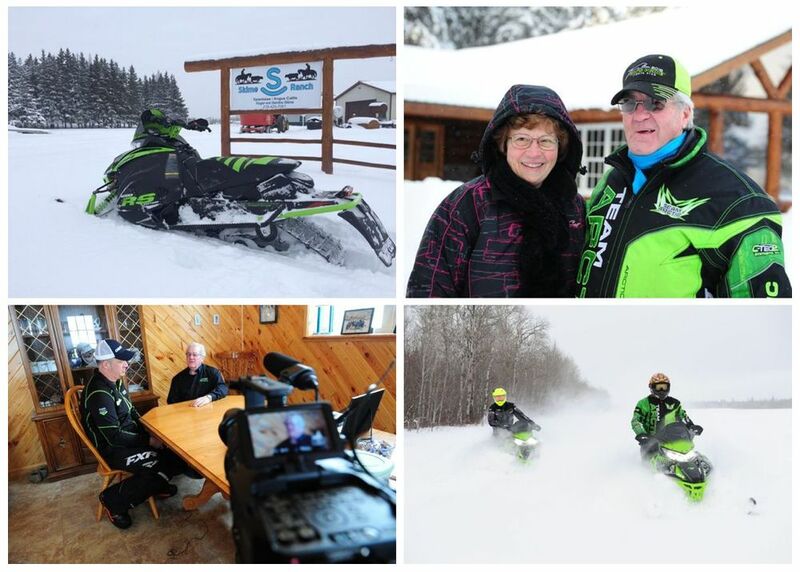 This past week I was part of a group that spent a day at Skime Ranch, the nearly 4,000-acre cattle farm in Skime, Minn. (yes, seriously) owned by Arctic Cat legend Roger Skime and his wife Bernice. It was a day of watching Roger be Roger. It was perfect. Click to see a few pix from the day. 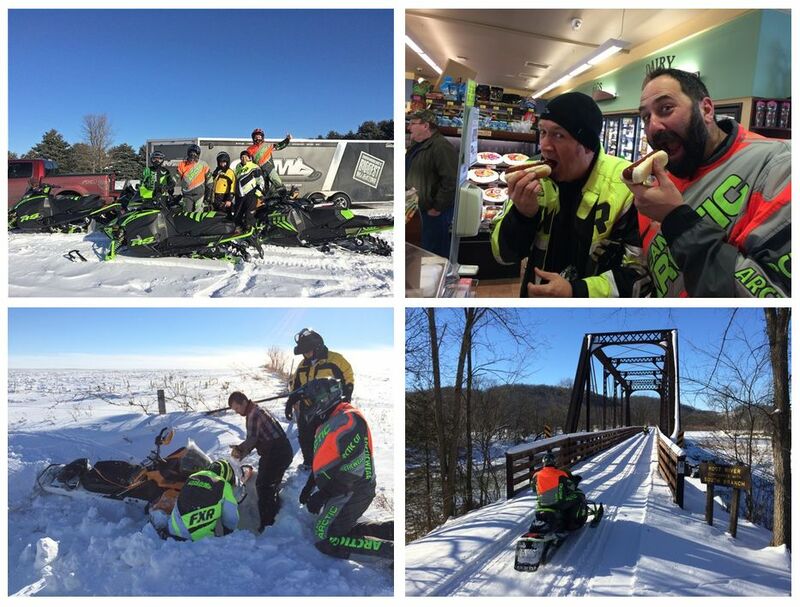 Oh man, 2017 started out better than I could imagine, with a 140 mile snowmobile ride on Minnesota's North Shore State Trail with friends. Either this is going to be the best year ever, or it's all downhill from here? 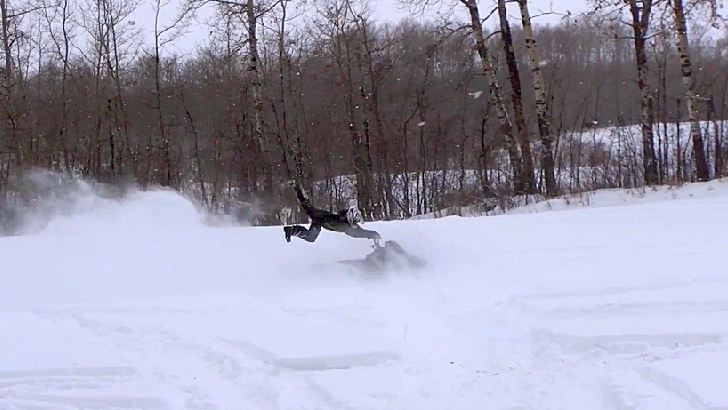 Regardless, winter is alive and well in Minnesota's arrowhead region. Click to see for yourself. I'm thankful for the outstanding riding experiences of the past year. I'm thankful we've made it through the detours, trail closures and rough patches. I'm thankful we can still hang onto the handlebars while going WFO into the new year. And I'm thankful it's the last Friday of 2016. Rideable snow within a trailerable distance for most of us. Pretty good for this time of year. 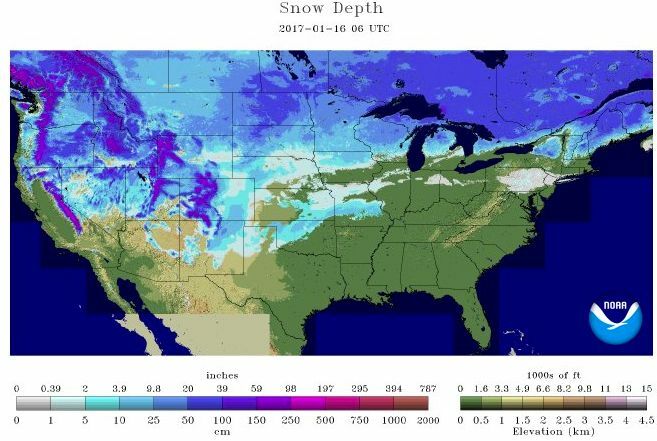 Click HERE for the NOAA site to get every kind of snow depth info you might need. Wishing you a genuinely meaningful and peaceful Christmas. 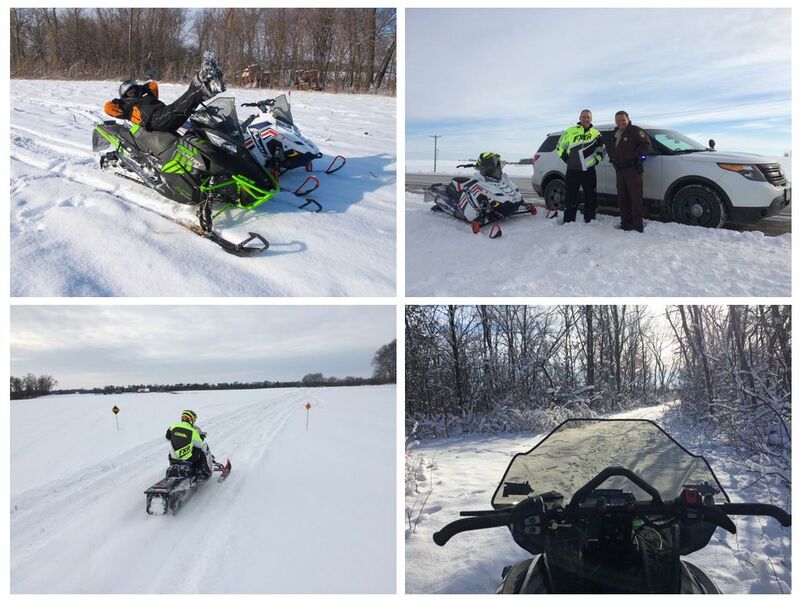 This past Tuesday our gang of regulars made VERY last minute plans for a day's ride in southeast Minnesota, where snow depth reports suggested there was just enough white stuff for decent riding. 112 miles, one buried 850 and two disgusting roller-dogs later, I'm here to confirm the reports were correct. Click to see the evidence. ...plus chisel-plowed fields, fear and white-painted bowling balls littering the ditches. What's not to love about setting the first tracks of the season? 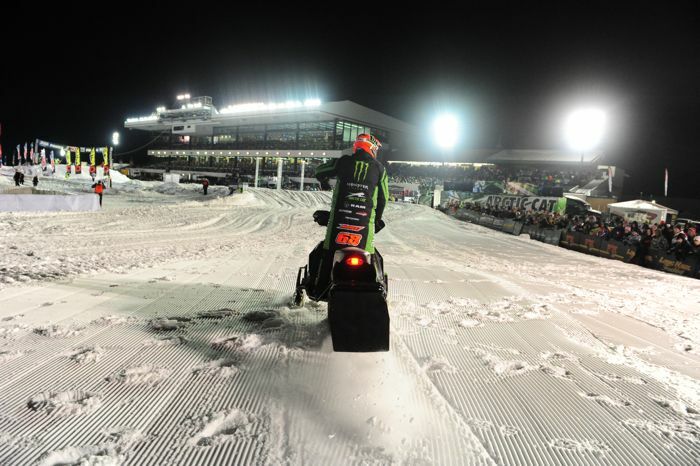 Last weekend marked the 25th Annual Spirit National snocross in Duluth, Minn. And like every preceding year, it brought chaos, uncertainty, excitement, some great racing and, perhaps, a peek at what to expect for the rest of the season. Click for a photo essay and the observations of a hack who's been to all 25 of these events. I'm thankful that on this Thanksgiving weekend, family and friends gathered to celebrate. 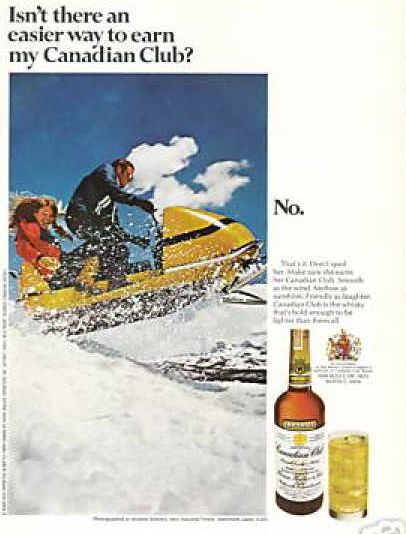 I'm thankful that those who celebrated with Canadian Club did NOT have to earn it the hard way. And I'm thankful it's Friday, Nov. 25, 2016. 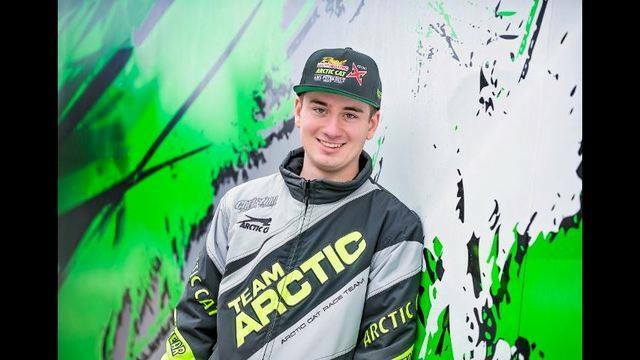 This Friday, Team Arctic snocross ace Tucker Hibbert will hit the gas on another season as the absolute commander of professional snocross racing, having won more races and championships than anyone in the history of the sport. It's GO! time with the 68 team, with just days before the green flags drops. Yet somehow in-between building race sleds, stocking the race semi, testing and gearing up for Duluth, Tucker found time for an interview. Click to see how things are shaping up for the champ. 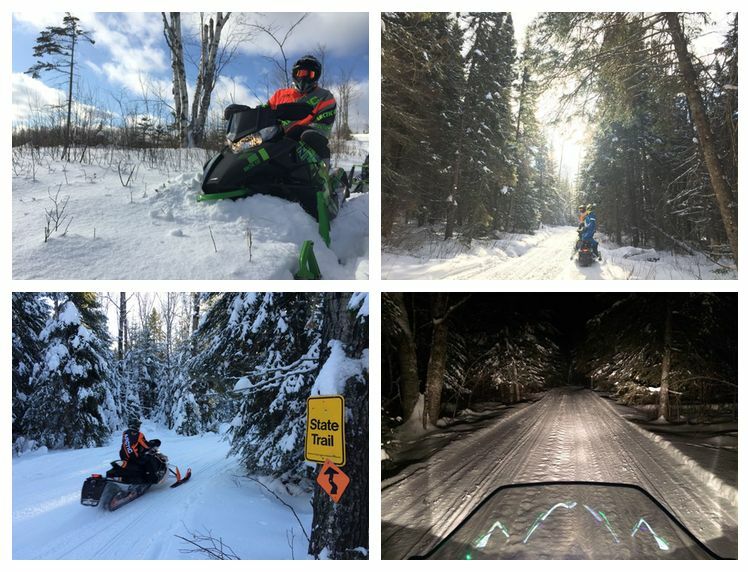 I spent a day at Arctic Cat in TRF last week, where people were fired up about an impending snow storm coming to Minnesota and a winter that was about to begin in earnest. Engineering...production...test riding...all the good stuff! 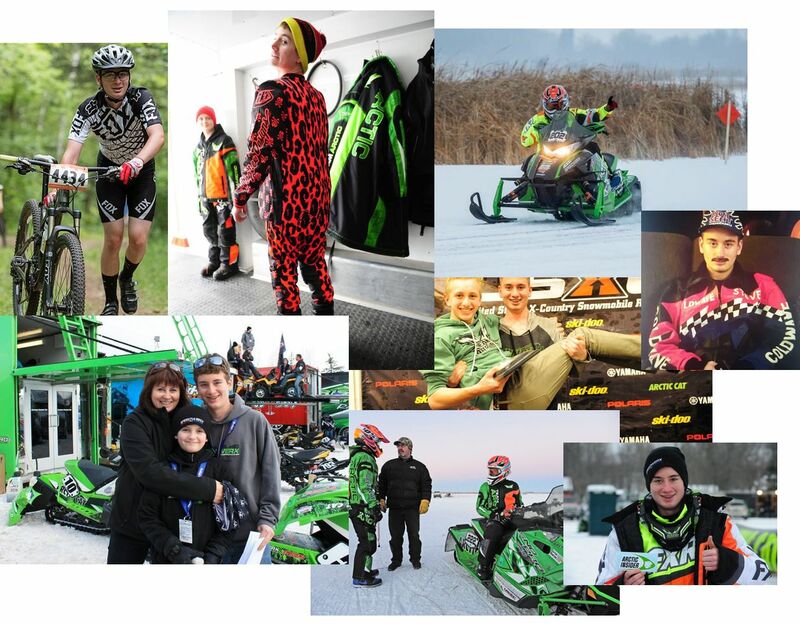 Click to see what was going on Arctic Cat.